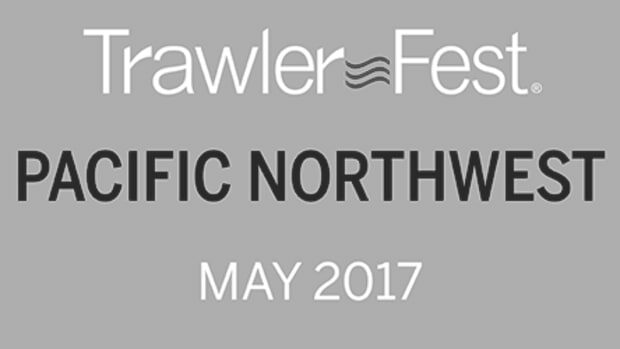 Our Pacific Northwest TrawlerFest returns to Bremerton, WA this year May 1st - 5th. PARKING: There is a public parking garage located below the Hampton Inn & Suits at the marina. There is also a public parking garage 2 blocks away at 201 Burwell Street. Rooms blocks are available at the Fairfield Inn & Suites Bremerton and the Hampton Inn & Suites. Both are just a few blocks from the marina & conference center. 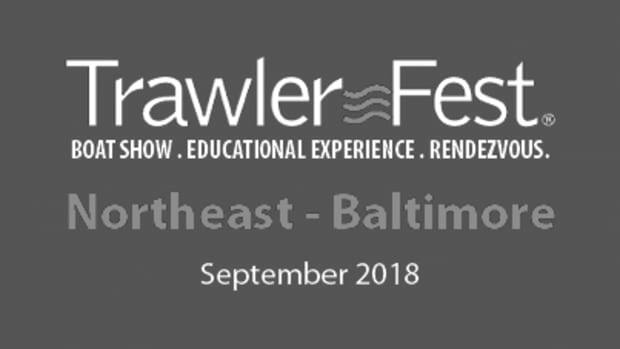 Mention TrawlerFest when you call. Kids up to age 16 enter for FREE! *VIP Seminar Selection forms will be emailed after ticket purchase. We appreciate your patience as it is not an automated email. Join us for our rendezvous style evening activities for an opportunity to connect further with other cruisers, presenters, exhibitors and PassageMaker editors! Thursday, May 3 5:30 p.m.
Friday, May 4, 5:30 p.m.
Tuesday, May 1 & Wednesday, May 2, 8:30 a.m. – 5 p.m. This is not the only diesel engine course for boaters, but it is the only diesel engine course for boaters taught by veteran marine trades educators Mike Beemer and Matt Mardesich. 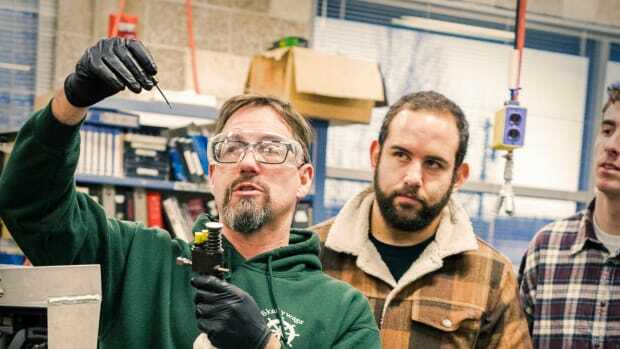 Beemer is department chair for the Marine Maintenance Technology school at Skagit Valley College in Anacortes. Matt Mardesich is an ABYC certified master technician and the primary propulsion instructor at Skagit. “Can you help me here?” is one of the most commonly asked questions from the new cruisers we meet. The reality of it is that emergencies in remote places can have dire consequences unless you’re sufficiently prepared. Join Dr. Jim Chimiak of DAN Medical Services for an open discussion on boater safety resources and an approach to basic medical care, including case reviews that detail the initial steps in dealing with medical emergencies in remote locations. Based on how much time you have (nine, 14 or 22 months), and how slowly you like to cruise, and how often you need to commute (fly home & back), veteran delivery captain and cruising guide author Pat Rains explains three different route plans that hit the best destinations at just the right seasons; good marinas, fuel & air connections, yet avoid hurricanes. (1.) Hop down Baja, slow circuit of the lower Sea of Cortez (La Paz, Puerto Escondido, Santa Rosalia, San Carlos, Guaymas, Topolobampo, Copper Canyon, Mazatlan & Puerto Vallarta), then return via the Baja Bash. (2.) Scoot way south, U-Turn, slow-mo north to either end of the Sea of Cortez. (3.) Southbound to Barra de Navidad, Z-what or Acapulco, winter circuit of lower Sea of Cortez, summer over in the upper Sea of Cortez (San Carlos, Puerto Penasco), then return – or not. Plus: What’s New Along Pacific Mexico? 2018 new international check-in procedures and tourist cards, improvements at Cedros Island & Turtle Bay; guided excursions inside Magdalena Bay; expansion at Puerto Escondido in the Sea of Cortez. Handout: List of all the marinas on Pacific Mexico. Want to cruise further north, but deterred by one of the infamous “gates?" This presentation breaks down the trickiest parts of the Inside passage - the so-called gates-collectively and individually. We’ll cover strategies for getting safely through each gate, review why you might want to cross each gate, and offer general tips for making a safe and enjoyable trip through one of the world’s most amazing and rewarding cruising grounds. Sam, Laura, and Kevin are the team behind Slowboat.com. Their goal is to demystify cruising in the Pacific Northwest and to empower and enable cruisers to explore further with safety, comfort, and confidence. They have made numerous trips up and down the Inside Passage to and from Southeast Alaska, both individually and leading flotillas. Sam is former managing editor of the Waggoner Cruising Guide, and lives aboard his 37-foot Nordic Tug Safe Harbour. Laura is a professional photographer and writer and is usually at the helm of Airship, a 34-foot Nordic Tug. Kevin is an entrepreneur, engineer, writer, pilot, and deck-hand, and travels with Laura aboard Airship. Before you embark on an extended cruise in the Pacific Northwest or up the Inside Passage to Southeast Alaska, you might want some tips about what to pack, and how to prepare your boat (and yourself) for the adventure. Sam Landsman, Laura Domela, and Kevin Morris share the lessons of numerous trips and leading flotillas up the Inside Passage from Washington through British Columbia up to Southeast Alaska. They’ll discuss food, clothing, first aid, spares, ground tackle, boat systems, general best practices, and how and where to get parts and supplies along the way. Sam, Laura, and Kevin are the team behind Slowboat.com. Their goal is to demystify cruising in the Pacific Northwest and to empower and enable cruisers to explore further with safety, comfort, and confidence. They have made numerous trips up and down the Inside Passage to and from SE Alaska, both individually and leading flotillas. Sam is former managing editor of the Waggoner Cruising Guide, and lives aboard his 37’ Nordic Tug Safe Harbour. Laura is a professional photographer and writer and is usually at the helm of Airship, a 34’ Nordic Tug. Kevin is an entrepreneur, engineer, writer, pilot, and deck-hand, and travels with Laura aboard Airship. This course, combined with an on-the-water session, will develop skills in close quarters maneuvering and docking, not to mention the confidence gained from having been taught by some of the very best instructors in the business. Bob Sweet is the author of several marine titles including Powerboat Handling Illustrated and The Instant Handbook of Boat Handling, Navigation and Seamanship. The certificate of completion awarded to attendees may help save some money on their boat insurance. Laura has been a professional studio and travel photographer for over 13 years, and she’ll show you that getting great photos on the water is not always about having the most expensive gear. This seminar will tackle the particulars of boat-based photography - strategy, inspiration, workflow, editing, (OK, and even gear) and how to best tell a compelling story and express a sense of place and culture with your photos. Additionally, Kevin and Sam will cover flying drones from boats to capture great aerial perspectives of your boat and surrounding areas. They’ll give tips about safety, drone etiquette, taking off and landing from boats, getting the best images, and of course the drones themselves. A standing joke in the cruising community goes like this: He may be the captain, but she is the admiral, because if mama ain’t happy, ain’t nobody happy. Or something like that. Valerie Creighton, Becky Fickett and Pat Rains all have cruised widely but with distinctly different experiences. Creighton and her husband have cut a swath from California to Thailand. 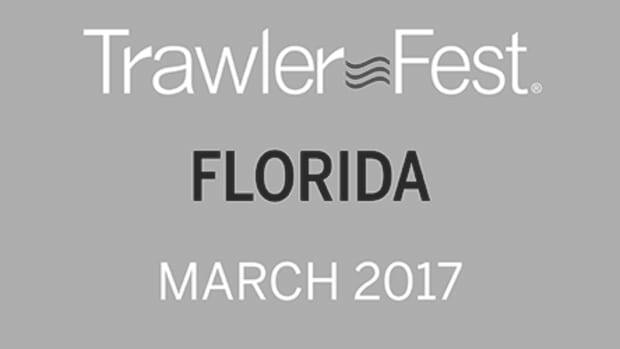 Fickett, holder of a captains license, has thousands of miles under her belt in East Coast Waters. Lewis, a licensed captain, has cruised to Southeast Alaska nine times and instructs couples on how to operate their boat together. And Rains, also a captain, is a leading expert on cruising in Mexico. A couple days after this seminar, Laura Domela will be part of a group leading a rally up the Inside Passage. This seminar is for women who think they may want to go cruising or who have only recently entered into the cruising lifestyle and have a wide range of questions best answered by other women, and, alas, without any men in the room. When Joshua Slocum sailed SPRAY around the world, one thing he really missed was a fresh water bath. Many modern vessels are equipped with water-makers, and there are many great options available. This course will take you through the theory of water-making, options that are available, why they are so expensive, and maintenance of these systems. 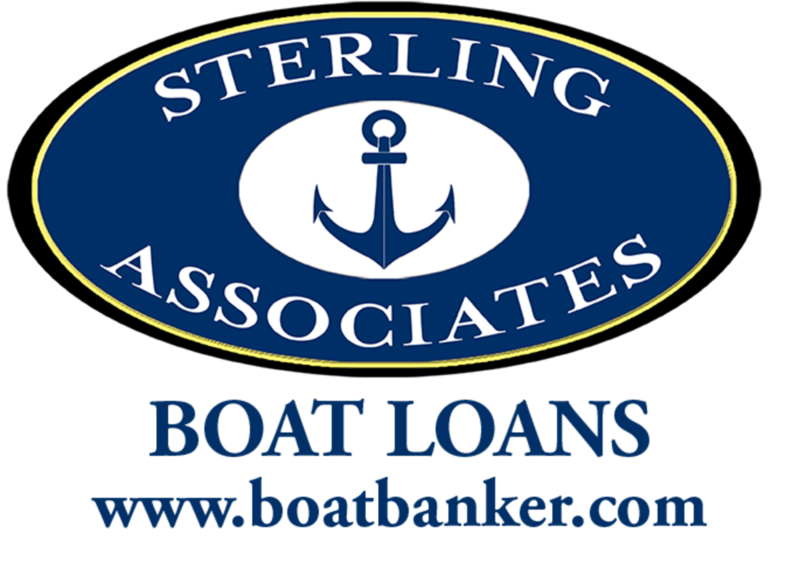 We will also discuss options and resources for the DIY boat owner wanting to save some money by building their own system. Even when it goes well, buying a boat can be a stressful process. The idea behind this eight-hour seminar is to arm buyers with the information they need to minimize frustration and unnecessary expense. Five “team teach” instructors look at the challenges of boat buying from unique perspectives. The theme of the first morning is “physics & psychology,” leading off with the first decision a prospective buyer of a cruising boat must make. That is, what kind of cruiser you plan to be and therefore what kind of hull design, because, as boat designer Sam Devlin will argue, hull form matters. 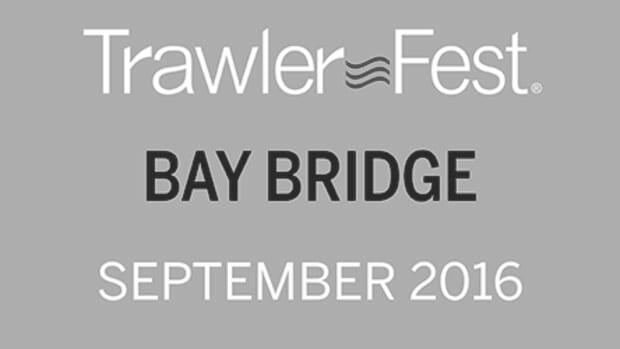 Then boatbuilder Ken Fickett of Great Harbour Trawlers will explain fiberglass boat construction and how to discern between good and bad. Boat builders Dylan Bailey and Sam Devlin will talk about alternatives to fiberglass. The theme on day two is “the fine print,” and it begins with Dylan Bailey, a leading surveyor as well as a builder, on how to choose the right surveyor and his or her proper role. Yacht broker Vin Petrella speaks on the topic of choosing a yacht broker and the elements of a good sales contract. Insurance veteran Cary Wiener follows with a behind-the-scenes look at marine insurance and the elements of a good cruising policy. They were veterinarians in Southern California and had never given a thought to owning a boat. They attended a boat show on a whim, as they entertained a fantasy of relocating to the San Juan Islands on retirement. 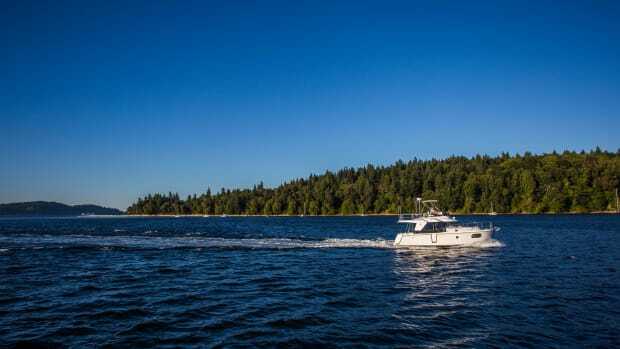 They subscribed to PassageMaker magazine and, before they knew it, they had jettisoned the Orcas Island real estate scenario, sold their home, and moved aboard a trawler. The Creightons cruised our local waters while still employed and climbed a steep learning curve. Then in 2009, they sold their businesses to cruise Mexico. They enjoyed the lifestyle even more than they had imagined and expanded their horizons to the waters of Central America and the Galapagos. They were hooked. They traded up to a bluewater-capable vessel and since 2013 have cruised from New Zealand to Fiji, Vanuatu, Australia, Indonesia, Singapore, Malaysia, and Thailand. They plan to finally bring their boat back to the Pacific Northwest… by way of Fiji, Panama, Nova Scotia, Greenland, and an east-to-west Northwest Passage. Their underlying goal is to address the various ‘barriers to entry’ encountered by all of us who want to make the aforementioned leaps. For example, maybe one spouse, often a wife, has not fully bought in; concerns about losing connections to family, friends, or work for extended periods; apprehensiveness about having comfort and safety at sea. The point being: If the Creightons could do it, so can you. Join them as they tell the story about how they have transited more than 30,000 nautical miles since 2007. First of all, we said “electronics” not “electrical.” This seminar will prove that when marine electronics fail there are remedies available to a boater other than surrender and a telephone call to the technician. Eric Kunz, senior product manager for Furuno, takes a non-partisan look at how to troubleshoot hardware, systems and NMEA 0183 and 2000 networks using a meter and common sense. As a teaching aid Kunz will bring to class a networked system in miniature to play with. This is one of those seminars that can end up saving you more than the price of admission. Traveling between ports requires understanding and knowledge of some fundamental skills to ensure a safe trip. This course is designed to be both an introduction and a refresher for owner operators and their crew. Yacht broker and all-around boat guy, Jeff Merrill will cover basics of weather forecasting, route planning, watch standing, engine room checks, pilothouse navigation/electronics operations, and much more. If you are interested in transiting between sea ports for overnight passages on your trawler this course will review the essential preparations required. Merrill has logged more than 14,000 miles offshore on trawlers and has spent the majority of that time training with clients on systems teaching them how to manage and operate their boats. His talk includes photos and illustrations and examples of checklists. In this “town hall” event, our panel of veteran cruisers will field audience questions on a wide-range of topics, sea stories always resulting. Circumnavigator Bruce Kessler can discuss what it’s like to spend months and months treading blue water. Surveyor Dylan Bailey is a veteran cruiser who learned to build boats with his father. Sam Devlin will discuss epoxy-wood boatbuilding for passagemaker boats. John Clayman is a prominent East Coast yacht broker, cruiser, racer and all-around boat guy. Ken Fickett builds fast and slow cruising boats. PassageMaker contributor Robert Reeder is a Navy vet and professional mariner who teaches weather and navigation. Pat Rains is an experienced delivery skipper who writes cruising guides on Mexico. Eric Kunz, after a stint as a professional big-ship mariner, went on to help develop radars and other electronics for Furuno. 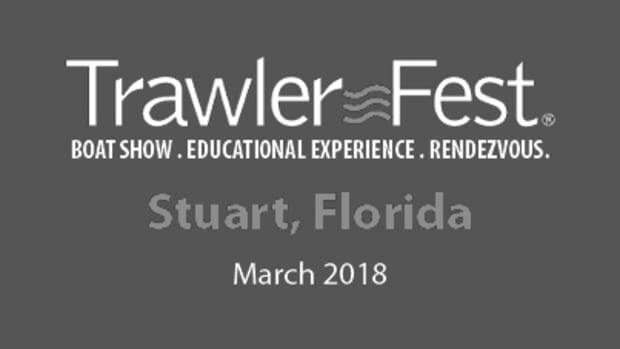 The moderator is Jeff Merrill, a certified professional yacht broker, author and trawler specialist with thousands of cruising miles with clients. Forget anything you may have seen in Robert Redford’s movie “Lost.” Surviving a crisis at sea happens because of preparation, the right gear, seamanship skills and a good attitude. The instructors are the very best. Mario Vittone is a made-for-Hollywood American hero. He is a retired U.S. Coast Guard rescue swimmer, whose career choice lead him to become a national expert on immersion hypothermia, drowning, sea survival, and safety at sea. Vittone is a regular contributor to PassageMaker’s sister publication Soundings magazine. In 2007, he was named as the Coast Guard Active Duty Enlisted Person of the Year. Capt. Thomas Bliss, a self-described “safety nerd,” is founder and director of Northwest Response, a lay-responder medical training enterprise. Professional mariners subscribe to his services to keep their licenses up to date. He once taught cold water survival to seismic ship-board exploration crews 270 miles north of the Arctic circle. A coxswain in the U.S. Coast Guard Auxiliary, Bliss was Awarded the Meritorious Service Award in 2010 by Coast Guard commandant, Admiral Thad W. Allen. He lives in Gig Harbor, Washington. For à la carte attendees, this seminar pairs well with First Aid & Emergency Preparedness at Sea. Marine author/illustrator Bob Sweet and Furuno Senior Product Manager Eric Kunz will discuss the recent and rapid rise of solid-state multi-frequency radar and the demise of pulse technology originally developed during the Battle of Britain, and what this means for today’s radar consumers and operators. They will share navigation techniques and how to get the most from today’s modern multi-function displays, regardless of brand. Do we still need to carry paper charts? Plus, the topic of AIS is hot right now, with an expansion of the kinds of information conveyed through this medium. 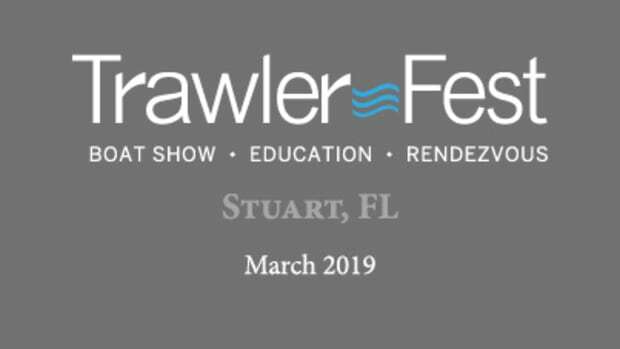 Revision Marine returns to TrawlerFest with the topic solar energy and lithium storage and integrating these new technologies with a vessel&apos;s existing generators and alternators. Presenters Matthew Mortensen and Chris Brignoli are marine electricians holding ABYC marine electrical certificates. Together they have over 40 years of experience in the industry. Both are avid cruisers, logging a combined 150,000 sea miles under various keels. This year’s presentation will concentrate on making all around improvements to efficiency aboard boats, from power consumers to power generation. Revision will explain their hybrid energy systems and how they can apply to any cruising vessel with the overall goal of burning less fuel, while delivering a better boating experience. Attendees will be invited on a proof-of-concept tour aboard the 97-foot expedition yacht New Pacific. Thanks to the installation of a Revision HES-70, New Pacific now consumes approximately 3,500 fewer gallons of diesel fuel in a regular cruising season. 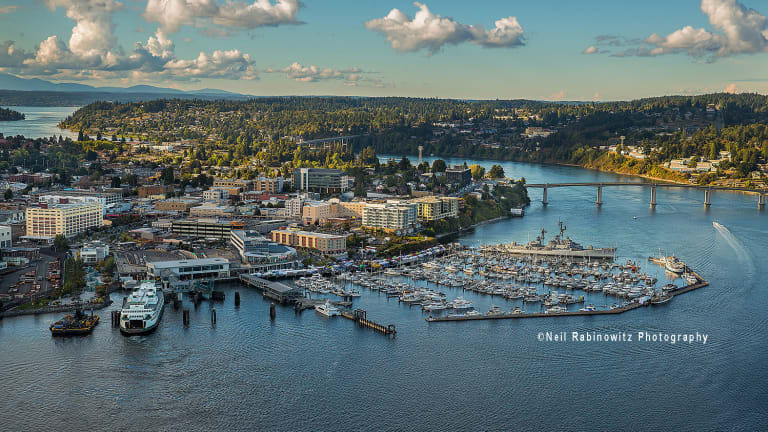 The City of Bremerton, and our marina, is located west of Seattle on a body of water called Sinclair Inlet. From the south or east, Sinclair Inlet is accessed by passing through Rich Passage along the south shore of Bainbridge Island. From the north, the best route is through Agate Pass on the northwest corner of Bainbridge Island then south along the west coast of Bainbridge Island to Sinclair Inlet. The Bremerton Marina is the first marina on your right as you enter Sinclair Inlet. Northern Lights, Inc. is a leading manufacturer of industry-best marine systems, including Northern Lights marine generator sets and Technicold air conditioning. Reliable, durable and simple to use, Northern Lights and Technicold products are designed for the unforgiving nature of the marine environment. Our systems are widely customizable to enhance the boating experience in pleasure craft, yacht and commercial marine applications. An ISO 9001 Certified company, Northern Lights is headquartered in Seattle, WA, USA, with a worldwide dealer network over 300 strong. More information is available at www.northern-lights.com or www.technicold.com. For over 50 years, the Northern Lights family of products has provided clean power, clear air and complete solutions. The Pantaenius America Yacht policy offers the most comprehensive coverage on the market. We are licensed in all 50 states, as well as Puerto Rico, and have five offices in the U.S. Our navigational limits are extremely broad, and we welcome not only the coastal enthusiast, but also the circumnavigator. At Pantaenius, you speak to insurance experts who understand your needs. Many of our team members are avid power boaters and sailors who share the same passions you do. "Always at Your Side" is more than our company slogan; it&apos;s our commitment to you. When you have an emergency, you can contact our claims experts 24/7 and speak to a live person (no call centers) when you need them most. In fact, Pantaenius has a claims network of 35,000 contacts worldwide, and we will take immediate action to help minimize damage to your yacht. We also provide you with a plethora of tips on damage prevention, safety, and much more. For a quote, visit www.pantaenius.com. Our boats represent the perfect combination of tough, offshore capable construction supported by robust and redundant systems and married to luxurious living spaces. A commitment to superior yacht design and construction starts with expertly engineered hulls and is carried through with our dedication to continuous innovation and improvement of every component and system on our boats. We control every aspect of the manufacturing process in our own dedicated factory with experienced craftsman and technicians who start with the best raw materials and the highest quality components. 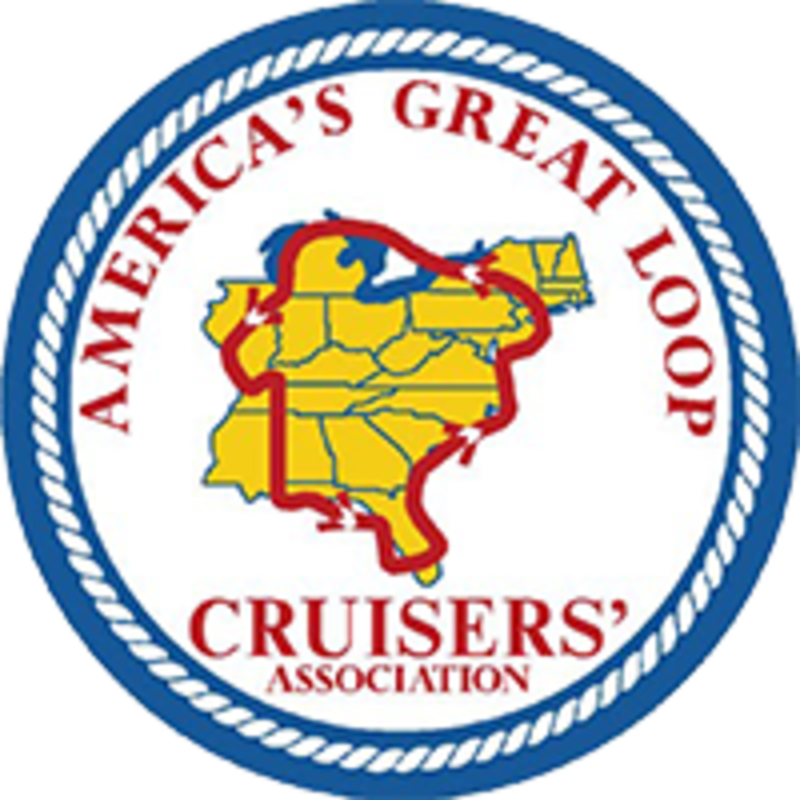 The DAN Boater travel safety association provides emergency medical services & travel safety resources to recreational boaters.